Technical textiles refer to textile materials and products used primarily for their technical performance and functional properties, rather than their aesthetic or decorative characteristics. The segment encompasses diverse products and applications; based on product characteristics, functional requirements and end-user applications; they are value-added textiles used for their multifunctional properties. Technical textiles are predominantly man made fibre-based, owing to their inherent advantages of strength and versatility. Man made fibres are estimated to account for around 80% of the total fibre consumption in the global technical textiles industry. The majority of technical textiles are manufactured using regular fibres or their specialty variants, whereas high performance fibres account for a mere 5% of the total fibre consumption. Its materials are designed for specific applications requiring concrete and demanding properties, such as mechanical resistance, tenacity, insulation, thermal resistance, acids, UV, and IR, for example. Despite the downturn in the global textile industry, the technical textiles sector is proving to be an increasingly strong inspirational force for the industry. The market presence of technical textiles is expanding and the field is experiencing growth in functions and applications. Consumption of technical textiles constitutes approximately 25% of the total volume consumption of all textiles in industrialised countries. Global demand is expected to be especially high for geotextiles, industrial textiles and building textiles. Agrotech includes technical textiles products used in agriculture, horticulture, fisheries and forestry. Technical textiles are used extensively during the production of food. They are also used in the fishing industry as nets, ropes and lines. It includes shade nets, mulch mats, crop covers, fishing nets, anti-hail nets and bird protection nets. Furthermore, technical textiles are used in agriculture and horticulture for a variety of covering, protection and containment applications. 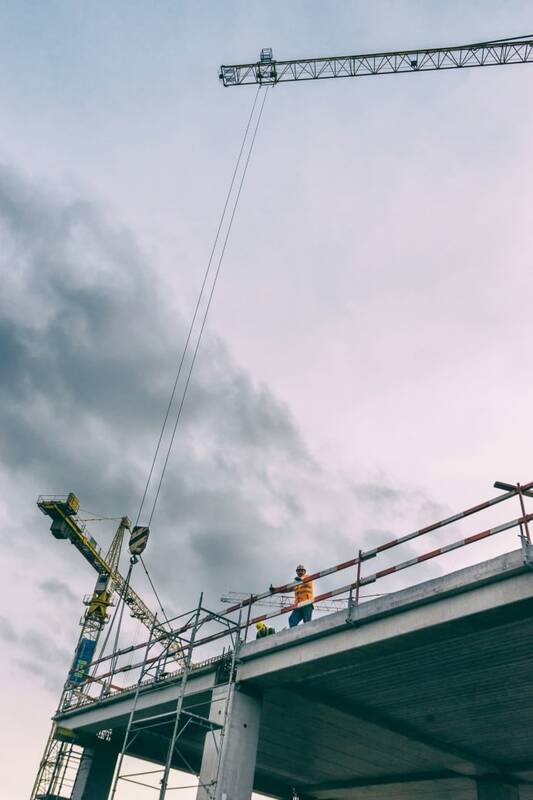 Buildtech segment comprises textiles or composite materials used in the construction of permanent and temporary buildings as well as structures such as architectural membranes, hoardings and signage, tarpaulins, awnings, scaffolding and nets. During the construction of buildings, both temporary and permanent bridges, tunnels and roads, textiles are employed in so many ways. Its closely related but distinct area of use is in geotextiles by the civil engineering sector. It is a matter of great pleasure that nonwoven glass and polyester fabrics are already vastly used in roofing applications, whereas the other textiles are used as breathable membranes to prevent moisture penetration of walls. In building and equipment insulation fibres and textiles play a major role. The Clothtech segment of technical textiles is majorly comprised of textile components used for specific functional applications in garments and shoes. It includes fibre, yarn and textiles that are used as technical components during apparel manufacturing. Those clothing components are sewing threads, wadding and interlinings. These components are largely hidden, e.g. interlinings in shirts, sewing threads, shoe laces, labels, hook and loop fasteners (velcro), and insulation. Fabrics like umbrella cloth are also classified under the Clothtech segment. It should be noted here that clothing components do not include the main outer and lining fabrics of apparel, nor do they cover protective apparel or clothing. The Geotech segment comprises technical textile products used in geotechnical applications pertaining, for example, to soil, rock and earth. Geotextiles refer to permeable fabric, woven or non-woven, used for confinement/separation, reinforcement, filtration and drainage applications. Other specialised Geotech products comprise geogrids, such as synthetic filaments and tapes, etc. formed into a very open, grid like configuration having large apertures; geonets, which are extruded ribs set in a net like fashion with small apertures; geo-membranes, such as impermeable fabric as a barrier; and geo-composites, which are products using two or more Geotextiles, e.g. prefabricated drains. The environmental and economic benefits of using geo textiles are already well proven to separate, drain and filter. Geotextiles allow the road cuttings, building of railways and embankments with steeper sides. The Hometech segment of technical textiles comprises the textile components used in household applications. These products range from the blinds used in houses to the filter products used in vacuum cleaners. They are also an important component in mattresses and pillows. They are made of both natural and synthetic fibres. Hollow fibres with excellent insulating characteristics are vastly used in bedding and sleeping bags. The other types of fibres are increasingly being used to replace foams in furniture due to concern over the fire and health hazards posed by such types of materials. Over 35% of the total weight of fibres and textiles in that category lie in the field of home textiles or household textiles and furnishings, especially in the use of loose fibres in wadding applications. The Indutech category includes technical textile products used in the manufacturing sector, such as conveyor belts, drive belts, cigarette filter rods, bolting cloth, AGM (Absorption Glass Mat) glass battery separators, ropes and cordages, composites, filtration products, and industrial brushes, as well as reinforcements for printed circuit boards, seals and gaskets, and other industrial equipment. Meditech products include textile materials used in hygiene, health and personal care, as well as surgical applications. Medical and hygiene textiles are used as babies’ diapers (nappies), wipes, and adult sanitary and incontinence products. With the possible exception of the last of these, all are relatively mature markets whose volume growth has peaked. Manufacturers and converters now seek to improve them further by adding value to increasingly sophisticated products. The Meditech products are available in woven, knitted and non-woven forms based on the area of application. It should be noted here that nonwovens dominate these applications that account for over 23% of all nonwoven use, the largest proportion of any of the 12 major markets for technical textiles. Increasingly, synthetic fibre is being used in the production of these products. Mobiltech includes technical textile products used in the automotive industry and in automotive components, including aircrafts and railways. Further to this, transport applications such as cars, lorries, buses, trains, ships and aerospace represent the biggest single using area for technical textiles which accounts for some 20% of the total. Oekotech segment involves technical textile products used in environmental engineering, as these types of technical textiles are used for the protection of the environment and ecology. Although this type of technical textile overlaps with several other areas such as industrial textiles, geotextiles and agricultural textiles it’s not a well defined segment yet. Landfill waste management is the key application, which refers to the use of geo-synthetic products to secure landfills against leakage of municipal or hazardous waste. Other areas include secondary protection in chemical/oil industries (ground covers and the like around process tanks for secondary containment). The various geo-synthetic products used aregGeotextiles, geosynthetic clay liners, geo grids, geomembranes and various specialised geo-composites. Other potential Oekotech application areas of geosynthetic products such as landscaping (golf courses, ponds, etc. ), mine rehabilitation, and tunnel linings. Packtech includes several flexible packaging materials used for industrial, agricultural, consumer and other goods. It ranges from synthetic bags used for industrial packaging to jute sacks used for packing food grains. There are some key uses of technical textiles as packaging and containment such as manufacturing of sacks and bags, traditionally from cotton, flax and jute, but increasingly from polypropylene. In the modern packaging market, especially in the food industry, lighter weight nonwovens and knitted structures are used for a variety of wrapping and protection applications. On the other hand, tea and coffee bags use wet laid nonwovens. Besides these, vegetables, meats and fruits are now frequently packed with a nonwoven insert to absorb liquids, whereas fruits and vegetable products are supplied in knit or knitted net packaging. Protech is an ensemble of textile products and related materials used in the manufacture of various protective clothing for the personnel working in hazardous environments. Therefore, technical textiles play an important role in producing protective and safety clothing. The variety of protective functions that need to be provided by various textile products is diverse and considerable. Protective clothing includes garments and related paraphernalia for protection from harmful chemical environments. These types of textiles include protection against ballistic, cuts, abrasion and other types of severe impact, which includes, for example, fire and extreme heat, stab wounds and explosions, hazardous dust and particles, biological, nuclear and chemical hazards, high voltages and static electricity, foul weather, extreme temperature environments, and low visibility. The Sportech segment comprises of technical textile products used in the sports and leisure industry, such as sports composites, sports footwear, artificial turf, parachute fabrics, ballooning fabrics, sport nets, tents, swimwear, and paraglide fabrics and sailcloth. There are great opportunities for the uses of technical textiles in the sports and leisure market as performance clothing and footwear. The worldwide technical textiles market volume was evaluated at 143 billion US dollars in 2014. Growth of automobile sector specifically in the evolving markets of Middle East region, Asia Pacific region and region of Latin America is predicted to drive the growth and expansion of the global technical textiles market. Technical textiles are used for safety products, rubber items, floor coverings, balance, insulating items, protective gear, and composites in automobiles. The worldwide technical textiles market features large research and development investments made by market players that have resulted in novel products and innovations. Main market players have been taking enthusiastic steps to create new applications in terms of customer demand and provisions. These market trends are predicted to encourage the growth and expansion of the worldwide technical textiles market during the estimated period. Technical textiles encompass changing ranks used for different uses and applications. Such versatility is understood to supplement the business industry due to wide scale adoption of technical textiles across many industries. High raw material price related with it is predicted to remain the main challenge for industry players. Large scale adoption of geotextiles is assumed to provide enormous opportunities to the market players during the estimated period. Developing regions like Latin America and the APAC region are predicted to experience rapid technical textile adoption across various industrial sectors. Nations like Brazil, China and India are predicted to lead their respective regional market sectors. Such a market trend in the emerging regions offers many opportunities for development, expansion and growth of the global technical textiles market. Yarns, fibres and filaments are the key items used in producing technical textiles. Many technologies involved in the production of technical textiles include 3D knitting, 3D weaving, handmade techniques, heat set methods, finishing treatments, thermoforming, and nanotechnology. 3D weaving, thermoforming and 3D knitting are the most commonly used techniques. New innovative techniques like nanotechnology are predicted to observe large scale adoption of technical textiles during the estimated period. It provides large scope for the growth, development and expansion of the global technical textiles market. The 3D knitting technique is used to produce complete clothes with minimum or no cutting. This new technique annihilates post manual work and thus saves manufacturing costs as well as production time. Further to this, this new technique provides knitwear customers more comfort and better fit by eradicating seams. The heat set procedure is a thermal procedure carried out either in a dry heat climate or in a moist climate. 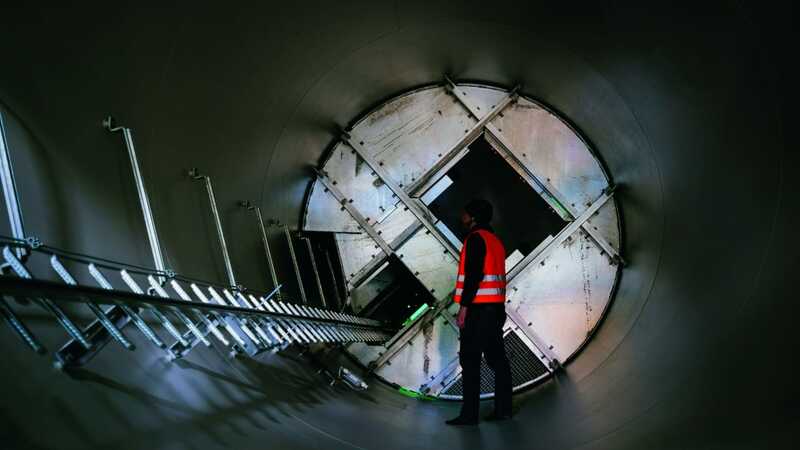 Finishing treatments are utilised in the final manufacturing phases. Developing economies like Brazil, China and India are predicted to observe rapid expansion and growth in the technical textiles market. These regions are supposed to lead the global technical textiles market in future. Supportive government initiatives and cooperative business polices that motivate spending on infrastructure, production and the medical sector are estimated to play a vital role in shaping the business future of these developing regions. The Middle East and Africa is the smallest market, but there is strong growth potential in this region. The United Arab Emirates is the third largest market for U.S. produced protective apparel. Imports of protective wear in the UAE grew at a compound annual growth rate of 17% between 2008 and 2015. Additionally, the UAE is the largest market for technical textiles in the Africa and Middle East region, increasing 40% from 2013 to 2015. PPE, which protects against harmful agents such as mustard gas or carbon monoxide, has been realised with textiles containing nanoparticles of magnesium oxide, dendrimers or gold and have been shown as more effective than the more commonly utilised charcoal. Further single walled carbon nanotubes (SWCNT) based sensors have been developed for detection of nerve gas agents. Textiles containing inorganic fullerenes, or multi-walled carbon nanotubes, have shown superior protection from ballistic impact in laboratories compared to current materials. Under development is an intelligent fabric called ‘liquid armor’ consisting of 3D spacer textiles treated with a specially formulated silicon coating; it remains soft and flexible under normal conditions, but becomes instantly rigid when stressed by an impact before returning immediately to a flexible state. A further benefit is protection from heat and fire. Many nanomaterials, including titanium dioxide, silicon dioxide, clays, and layered double hydroxide have shown promise as flame retardant additives, enhancers of flame retardant coatings, and providing flame resistance. Textiles with exceptional insulation performance, providing protection against very low or high temperatures, have been obtained with aerogels - these are nanoporous structures of amorphous silica gel. These textiles will be advantageous for those working in harsh environments, but also for extreme sport/outdoor activities. Textiles exhibiting UV blocking properties find wide application, mostly in sporting and outdoor garments. Such properties are obtained by coating textiles with nanoparticles of zinc oxide, or titanium dioxide. This represents one of the first examples of the application of nanotechnologies to the textile sector. This feature will provide protective clothing for patients and medical workers, wound dressings, bed linen and masks, amongst others, but may also be applied to sportswear, particularly in terms of odour control. Antimicrobial and antibacterial properties are obtained using silver nanoparticles. Copper and titanium dioxide nanoparticles have also been tested for this purpose. Although obviously highly relevant to the healthcare sector, these properties are also massively beneficial to all industries since reducing the transfer of infections means directly lowering the spreading of illness in a working environment. Breathability and comfort is highly desirable for a workplace, sport/outdoor activities, and combat situations, but also in everyday clothing. 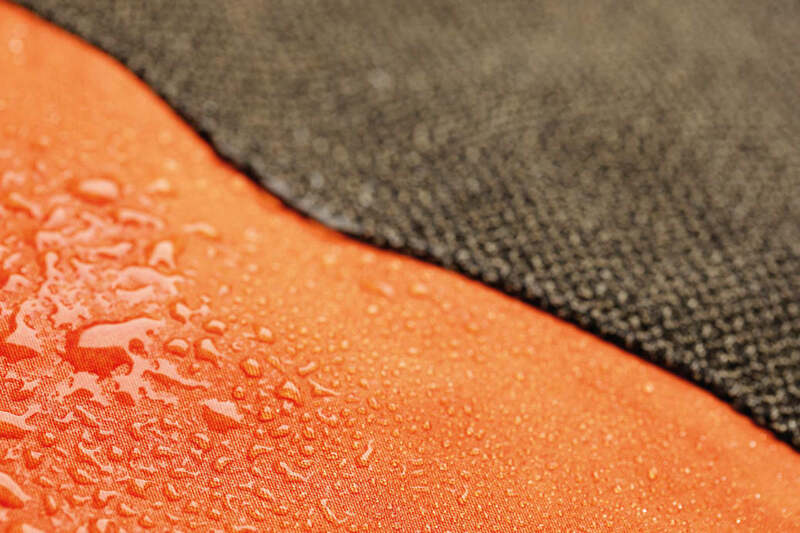 Water-repellent and self-cleaning textiles can be obtained by nanoscale modification of the surface roughness, resulting in water and dirt rolling off the surface; however, water vapour may still pass through ensuring breathability. Such products fortunately are already on the market. These properties may be combined in multifunctional textiles allowing for protection against extreme environmental conditions combined with light weight, antibacterial properties, protection against biological, chemical threats, and ballistic impact. Such products have undergone testing, most notably within the military sector, but there is potential for exploitation in the civilian and of course industrial sectors opening wider market opportunities.